Sue’s book is amazing. When she first sent it to me, I read it over and over. We will definitely be spreading the word about it on our Cancer Be Glammed website because every parent dealing with cancer should own a copy! Loved this video – and the book – I think next to the fear of dying – losing your hair is the most daunting aspect of a cancer diagnosis. 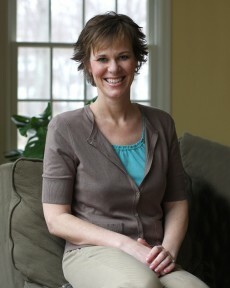 Since mine for Stage 4 Breast Cancer – pretty much out of nowhere – I have answered so many questions from chemo buddies that I am doing an informational video for my website Help Your Own Healing.com where I try to tackle the lifestyle issues that can positively affect your prognosis. Sorry to sound like an advert for myself; I am just so driven to get my help message out. Thank you, Jen, for introducing me to this wonderful book – and so glad to be finding others who our on the same journey as I am – to help our survivor community. Previous Entry: What Do You Say to a Mom with Cancer?